Ships from Hong Kong. 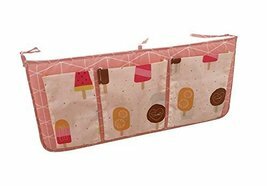 Lovely design, multi-function buggy bag, it is not only suitable for the baby's crib, but also used in the living room and kitchen. It can put diapers, cloth dolls, bottles, paper towels, small towels, charging the mobile phone line, keys, etc., make your room more clean and tidy! There are 3 pockets.